UN-Habitat Executive Director, Dr. Joan Clos, and architect-activist PK Das have won the first ever international Jane Jacobs Medal. The Rockefeller Foundation Jane Jacobs Medal was created by the Municipal Art Society (MAS) in 2007 to honor the author and activist who died in April 2006 at the age of 89. The Rockefeller Foundation's relationship with Jane Jacobs dates back to the 1950s, when the Foundation made a grant to the then-obscure writer from Greenwich Village, for the research and writing of the book, The Death and Life of Great American Cities. Now more than 50 years later, Jane Jacobs' work remains one of the most influential books ever written on urban design. In previous years, the Medal has been awarded to New Yorkers whose work advances the spirit of Jane Jacobs in NYC by creating new ways of seeing and understanding cities, challenging traditional assumptions, and creatively using the urban environment to make their city a place of hope and expectation. In 2016, MAS and the Rockefeller Foundation collaborated to expand the award globally. The medal will be officially awarded at a reception in Quito, Ecuador, during the United Nations Habitat III Conference that will take place on October 17th, 2016. "It is a great honor to award the Rockefeller Foundation Jane Jacobs' Medal to our first-ever global winners, Dr. Joan Clos and PK Das," said Dr. Judith Rodin, president of the Rockefeller Foundation. "It is fitting that during the week of Habitat III, the effort spearheaded by Dr. Clos, we honor and recognize his tireless efforts to elevate the global discussion on resilience through smart urban development. And this is the perfect moment to honor Mr. Das, as we look ahead to implementing the New Urban Agenda, his vision for Mumbai and reimagining its citizens' access to open space and improved affordable housing in one of the most densely populated cities on the planet serves as a model for us all." PK Das is a prolific Mumbai-based architect who takes people and places seriously. He has worked on over 150 diverse projects big and small, from museums to stadiums, offices to residences. 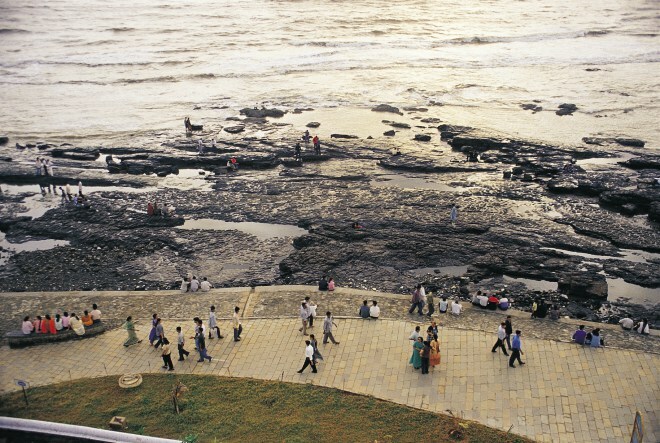 He famously spearheaded the renewal of Mumbai’s coastline as chairperson of the Mumbai Waterfronts Centre, which used a participatory planning process to create a transformative public space in a city that offers only a quarter acre of public space per thousand people. Das has also collaborated with activists and journalists to bring democratic planning and design to residents in the slums of suburban Goregaon outside Mumbai, providing a model that could be an inspiration for redevelopment around the city. He has also campaigned for reform in the city’s real estate-driven planning system more generally, and after years of effort, Mumbai’s citywide plan finally includes citizen participation policies. Last week, both Das and Clos spoke at Placemaking Week, an international gathering of placemakers and active transportation professionals in Vancouver, organized by Project for Public Spaces. While Clos offered opening remarks, Das spoke on the subject of resilience at the closing plenary of Pro Walk / Pro Bike / Pro Place, telling the audience: “I see placemaking as an incredible democratic tool for social and environmental change, for democratization of cities, for unification of fragmented landscapes, and undoubtedly, being a planner and architect, for planning and design efforts. Our concern for building resilience truly rests on such unification.” Das also spoke eloquently on behalf of the architectural profession during a Placemaking Leadership Forum panel exploring how we can reorient our planning, development and architectural systems toward making great places. Joan Clos and PK Das, Project for Public Spaces salutes you both and your inspiring work, and we wish you the best of luck in your ongoing efforts to democratize public space and to build resilient and sustainable cities for all!